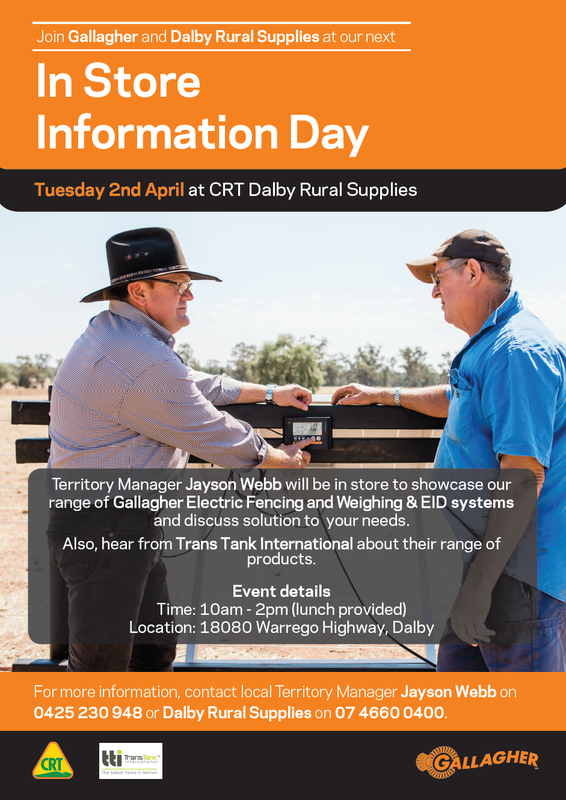 Gallagher Territory Manager Jayson Webb will be at Dalby Rural Supplies on Tuesday 2nd April to showcase the range of Gallagher Electric Fencing and Weighing & EID systems and discuss solutions for your needs. Also, hear from Trans Tank International about their range of products. Weaning is one of the most crucial management interventions in a beef operation, regardless of season. 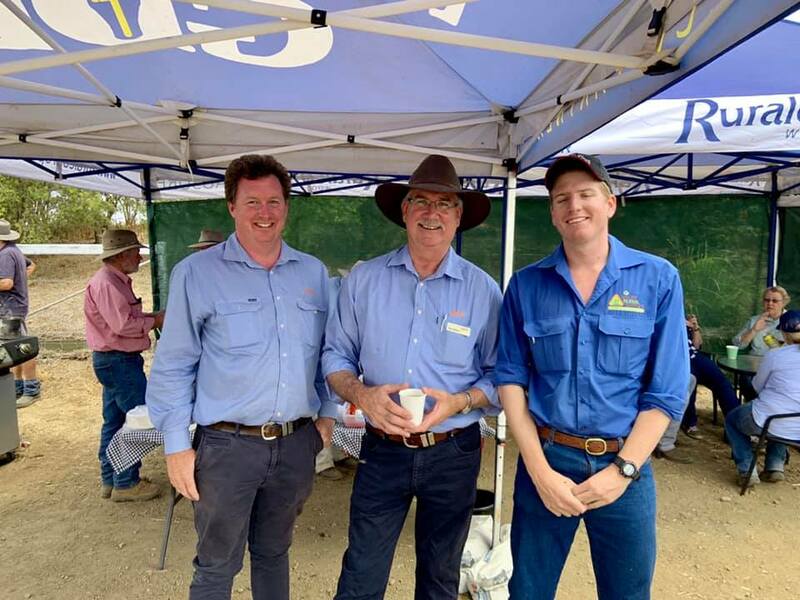 In February 2019, Dalby Rural Supplies co-hosted an informative & practical ReproActive workshop with Australian Livestock Production Services & Zoetis at 'Dalby Downs', Burenda Angus, Kaimkillenbun. 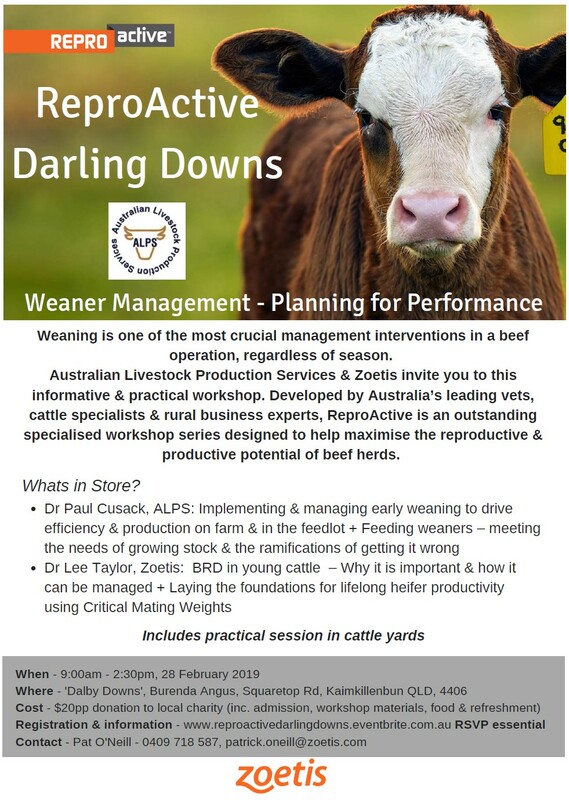 ReproActive is an outstanding specialised workshop series developed by Australia's leading vets, cattle specialists & rural business experts, designed to help maximise the reproductive & productive potential of beef herds. The workshop was well received and we hope local cattle producers were able to benefit from listening to this expert knowledge. 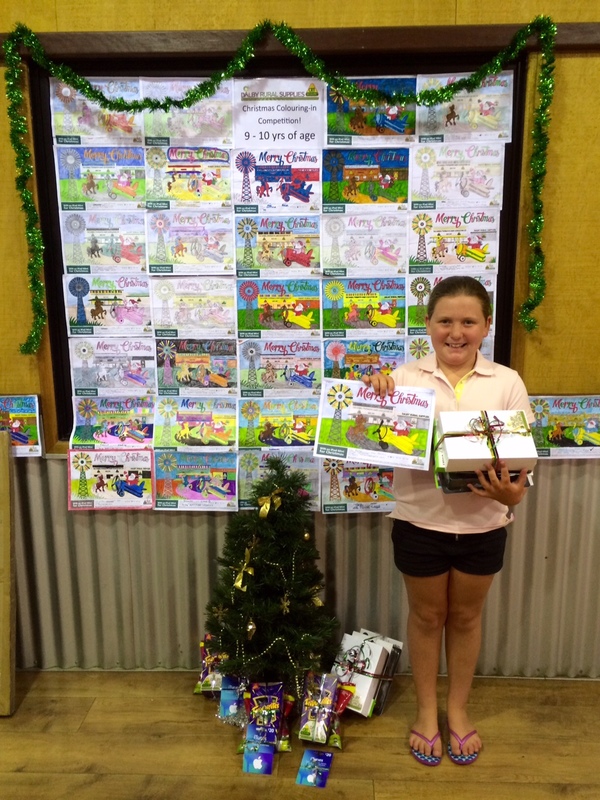 View this QCL article for more information about the day. Congratulations to Wayne Horrigan from our Irrigation Department who was certified as an Irrigation Meter Installer! This competency allows Wayne to install, maintain, validate and certify any agricultural and commercial water meters. We are very pleased to be able to offer this service to our customers, as there are very few Irrigation businesses in the Western Downs Region with this capability, the closest to Dalby previously being based in Toowoomba. Contact our Irrigation team on (07) 4660 0400 for your future meter needs or to find out more information about how our team can help. On Wednesday 19th September, our agronomy team hosted a WEEDit educational day at our farm 'Broadacres' just south of Dalby. 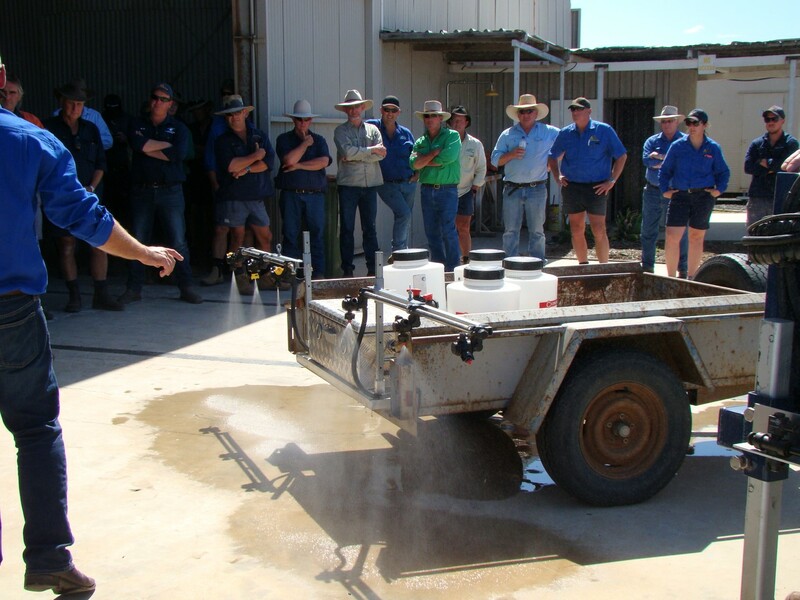 The event was not just a typical demonstration day, simply showcasing the WEEDit sprayer, the focus was more on chemical mixes and rates for the sprayers. Customers travelled from many areas including Brookstead, Toowoomba and even Dulacca to learn about application options, with close to 80 people in attendance for the presentations. Our first guest speaker Malcolm Salisbury from Nufarm, discussed chemical resistance and how chemicals that have often been too expensive to apply in a blanket application would be beneficial and cost effective through WEEDit sprayers. Frank Taylor from Nufarm then covered the new APVMA label changes and their effect on 2,4-D applications going forward. Our very own Precision Ag Specialist Jeremy Jones, followed suit and spoke about application rates and nozzle coverage. The event was very well received and we are proud to be leading the way in application through utilising these innovative sprayers. 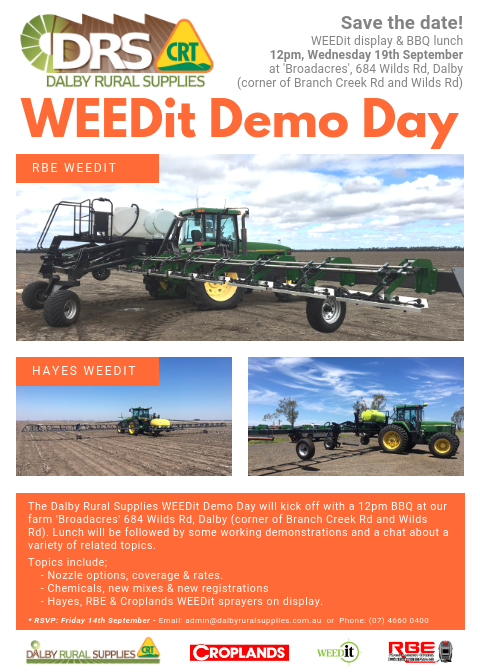 If you are interested in WEEDit sprayers, or if you have any questions regarding these machines, please contact our Precision Ag Specialist Jeremy on 0458 626 101. Mild and sunny conditions greeted us at Kingsthorpe for the first day of CRT FarmFest 2018, and while it got a bit windy on Thursday, it was nearly perfect for the 65,000 visitors who attended over the three days. Each year we strive to offer the latest and greatest products available for a range of agricultural enterprises, and we couldn’t do this without the support of the 38 suppliers that we have on our site. Ranging from seed, fertiliser & agchem, cattle handling & weighing equipment, animal health & nutrition and much more, our suppliers provide information and products to assist farmers to make the most of their business. 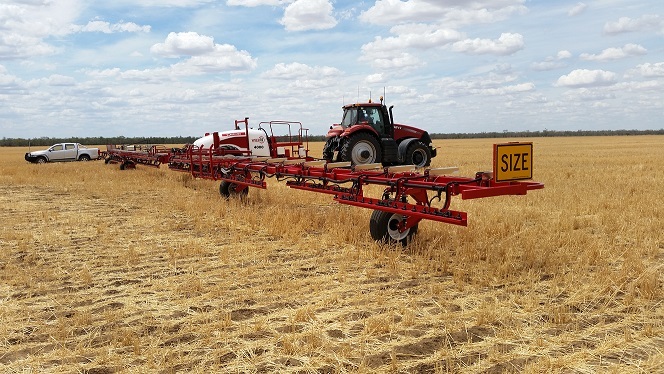 The largest item we had on our site this year was the 24m WEEDIt sprayer - an impressive piece of new technology designed to target weeds in fallow paddocks via near infrared sensors in order to save on chemical usage. We also had the popular Mike from Elmstock Tea back again, providing free cups of tea to refresh all the weary people, tired from a big day at CRT FarmFest. 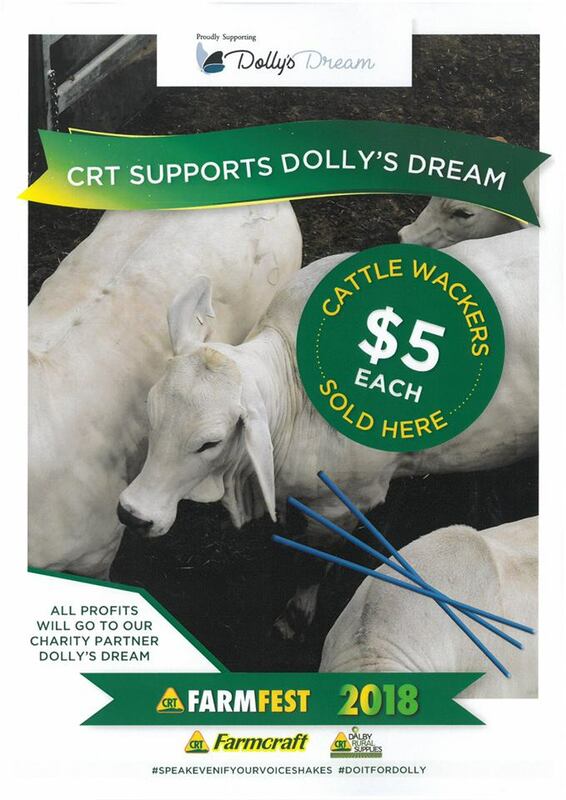 This year at CRT FarmFest, Dalby Rural Supplies and Farmcraft were proud to support Dolly's Dream foundation by selling blue ‘Do it for Dolly’ drafting sticks for $5 each. This charity aims to raise awareness of bullying, anxiety, depression and youth suicide and we were so very proud to be able to get on board and support this cause! Over the three days we sold an amazing 3,100 sticks, raising over $12,000 dollars for the foundation. This was an fantastic result and we would like to say a massive thank you to everyone who purchased one, what a great cause! We still have some of these drafting sticks available at Dalby Rural Supplies and the profit is still being contributed to the foundation. 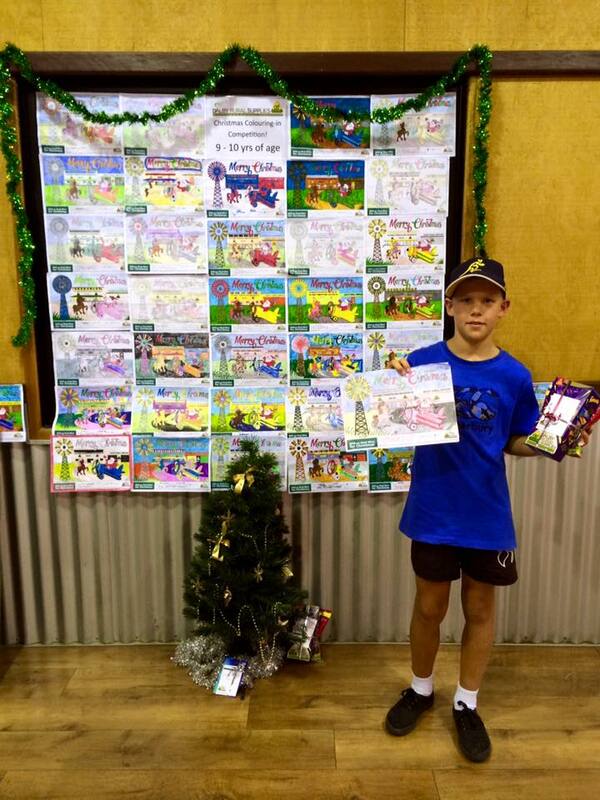 Well done to Rachael Long from Farmcraft for envisioning and organising this fundraising effort. A favourite amongst the children this year were the 500 red, white and black day old chickens we had for sale on the Bainbridge site. There were lots of pats and cuddles from the small (and large) children, with all of the chickens finding happy new homes. 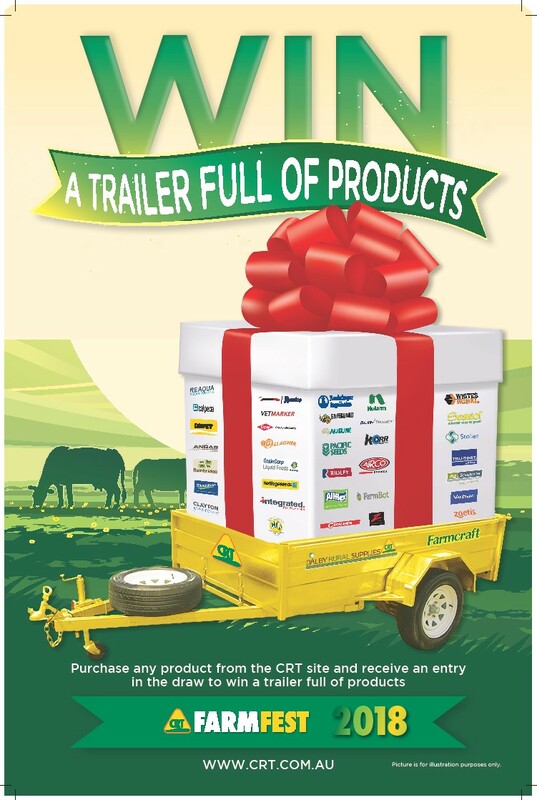 Congratulations to the winners of our CRT FarmFest Trailer competition - Ian & Stephen Peck from Kalbar, who won a Hans trailer full of products generously donated by our suppliers. This has been a popular competition for many years now, where anyone who makes a purchase from our site over the three days receives an entry into the draw to win this fantastic prize. 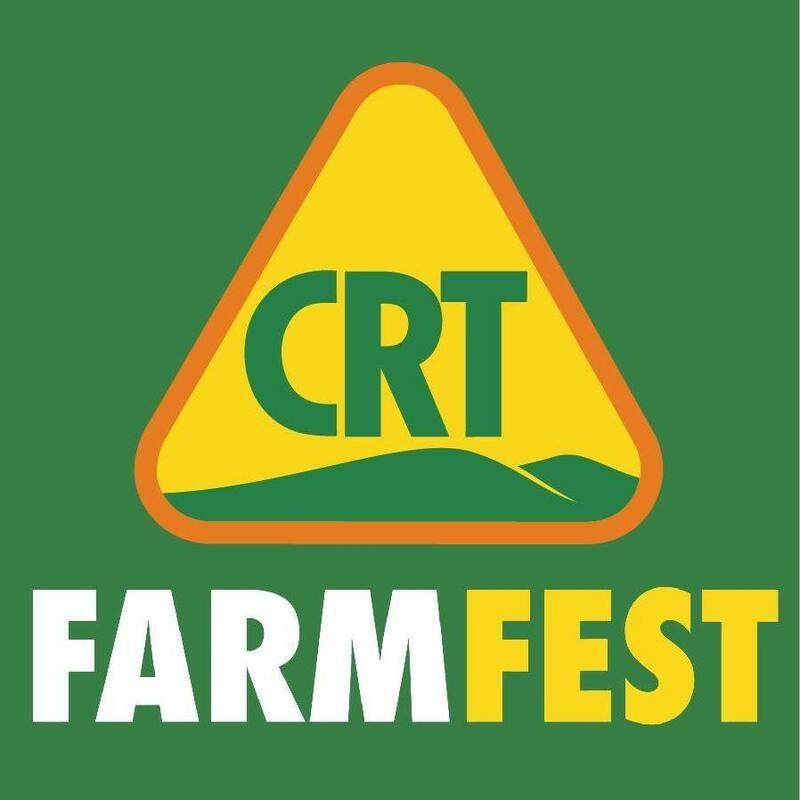 We are always looking to improve on what we are able to offer at CRT FarmFest, and we are already brainstorming with the organisers about how we can make FarmFest 2019 an even better and more enjoyable field day for everyone. Bring on FarmFest 2019! Visit CRT FarmFest for more information. 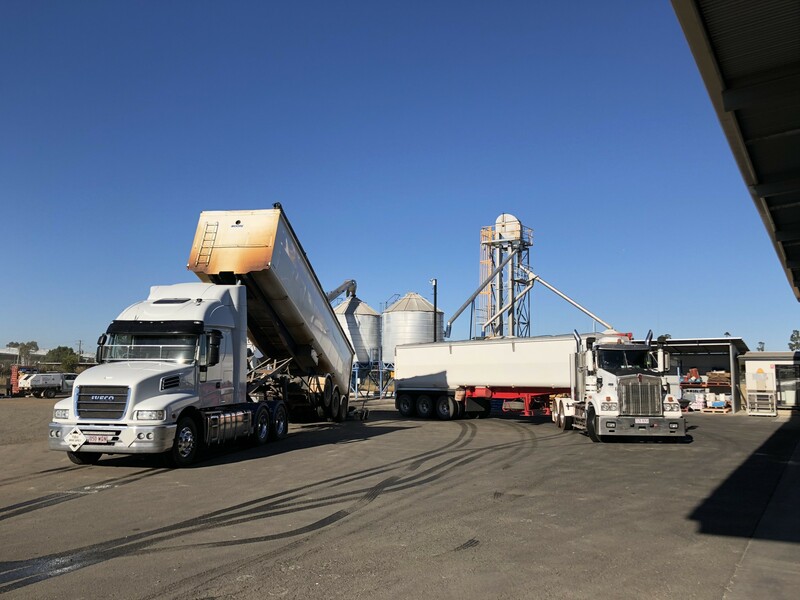 It can get quite busy at Dalby Rural Supplies in our Chemical, Seed & Fertiliser department as we organise many a fertiliser load for our customer!. If you would like to organise some fertiliser, phone one of our friendly team on (07) 4660 0400. Issue 5 of our bi-annual DRS newsletter was distributed to our rural friends around the region at the start of March 2018. If you would like to find out about the latest agricultural products and technology and stay up-to-date with what is happening in our region, view the newsletter by flicking through the pages below! Congratulations to Stuart Schostakowski on winning the DRS Newsletter Garden Competition which was drawn at our Seed Treatment Plant Launch in April! 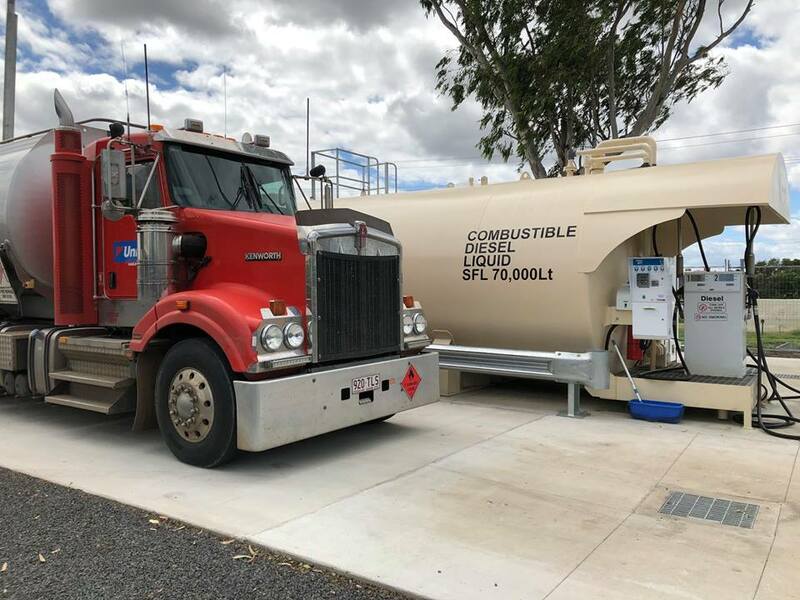 At the end of 2017 we installed a diesel fuel tank, initially for our own use to reduce the fuel costs and wasted time spent fuelling our vehicles, however we expanded our vision and created a mini diesel service station in our front yard! 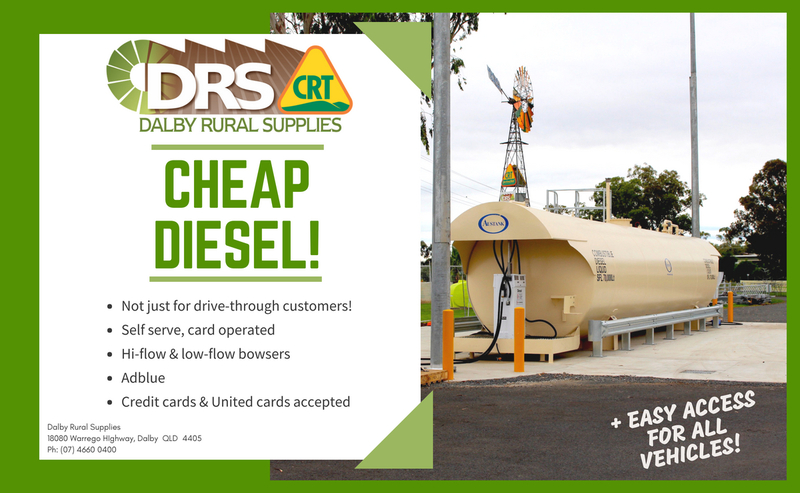 Cheap diesel is now available to all our clients and with an easy-to-use self service diesel system, we hope to be a cheaper, more convenient alternative to the major national fuel suppliers that currently operate along the Warrego Highway. 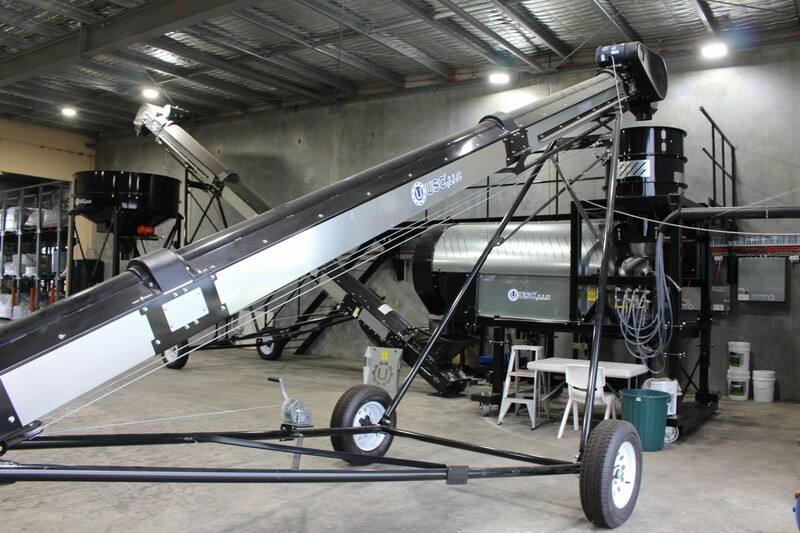 The future in seed treatment has arrived at Dalby Rural Supplies! DRS' commitment to its tagline 'For the farmer, For the future' continues with the purchase of our USC Seed Treater machine. After identifying an opportunity to provide high quality cost effective seed treatment, our business partners John Cullen and Andrew Johnston, went in search of a quality machine to do the job. 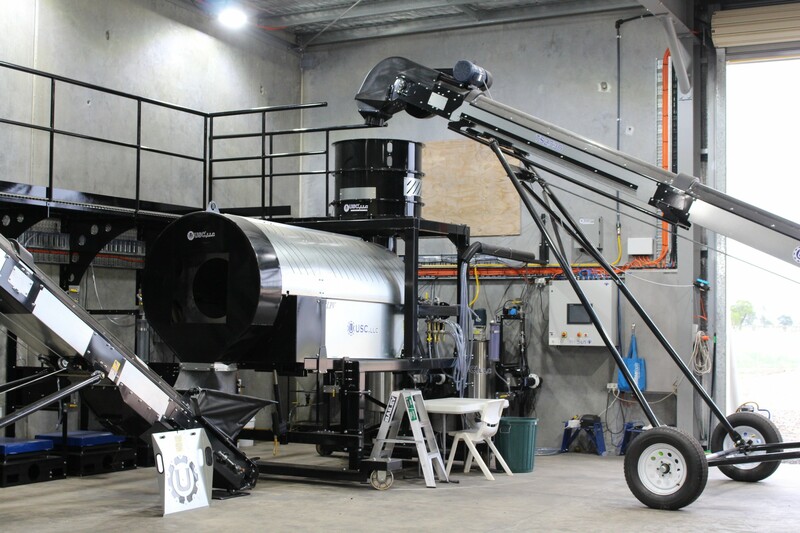 Following extensive research, the boys found themselves in the USA - where seed treating is common place in the future of farming - and they soon found the USC machine to be the best choice to suit the Australian market. Read more in our Issue 5 Autumn/Winter DRS Newsletter! We held a Seed Treatment Plant Launch on Friday 13th April to showcase our new machine, however if you missed our launch pop in and see Hosko or one of the chemical, seed & fertiliser team to have a look at this impressive piece of agricultural machinery! 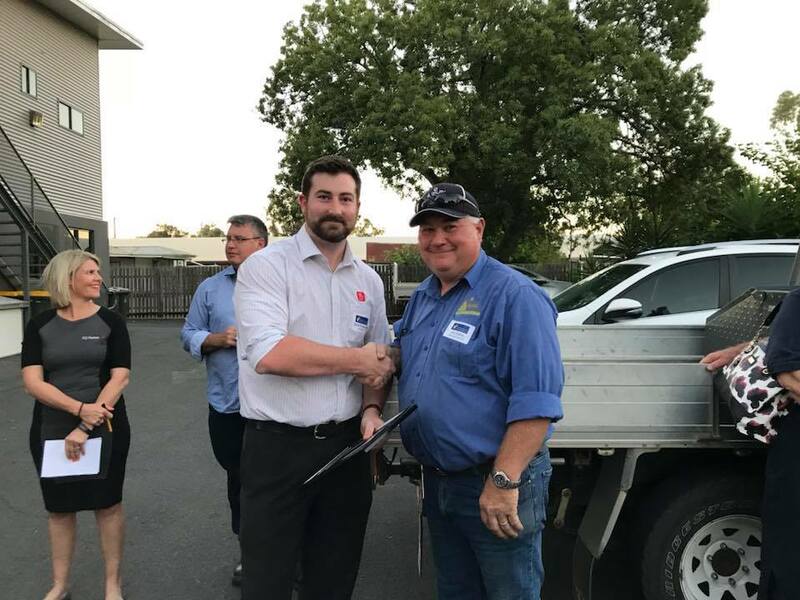 Congratulations to our very own merchandise salesman John Collins on receiving the Dalby Chamber of Commerce Exceptional Service Award for December 2017! 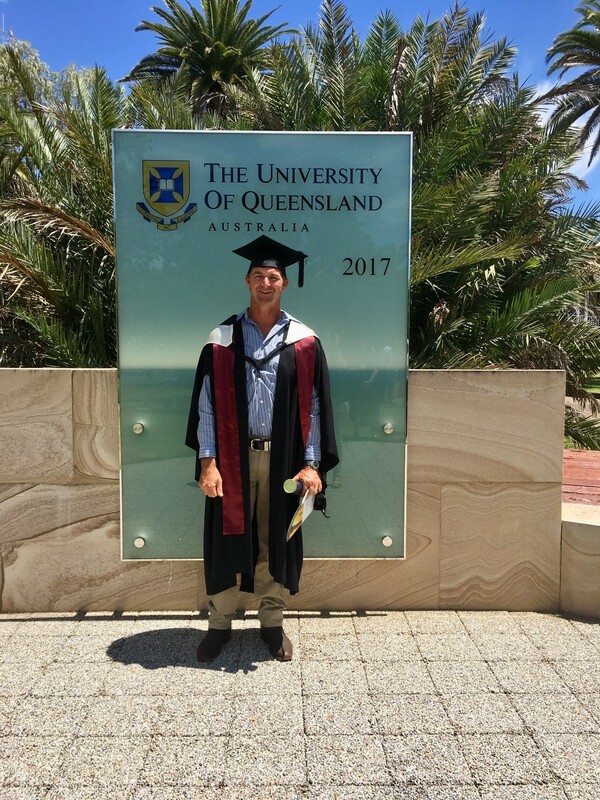 In November 2017, Mark Noller graduated from the University of Queensland with a graduate Certificate of Agricultural Science. With these new-found skills, Mark looks forward to being able to further assist clients with their farming enterprises. Issue 4 of our bi-annual DRS newsletter was distributed to our rural friends around the region at the start of November 2017. If you would like to find out about the latest agricultural products and technology and stay up-to-date with what is happening in our region, view the newsletter by flicking through the pages below! 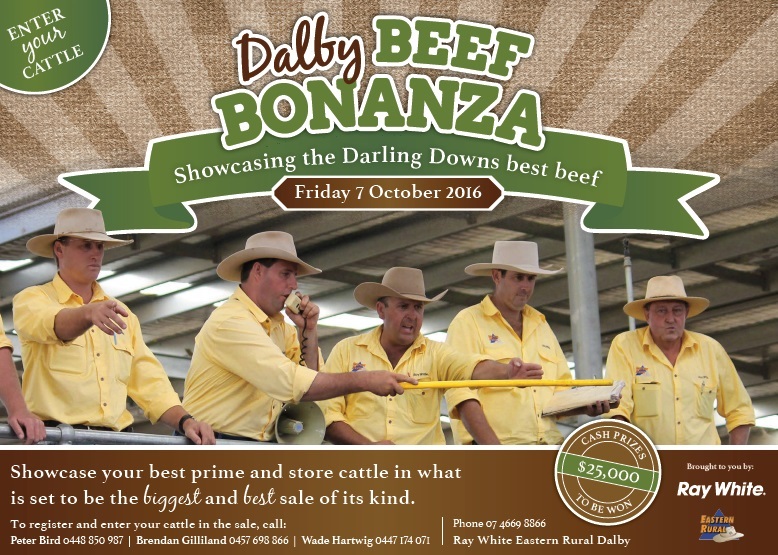 The 2nd Annual Dalby Beef Bonanza was held on Friday, 6th October, 2017 at the Dalby Regional Selling Centre. Dalby Rural Supplies was proud to sponsor this feature show sale with the auction of the finest cattle on the Darling Downs. 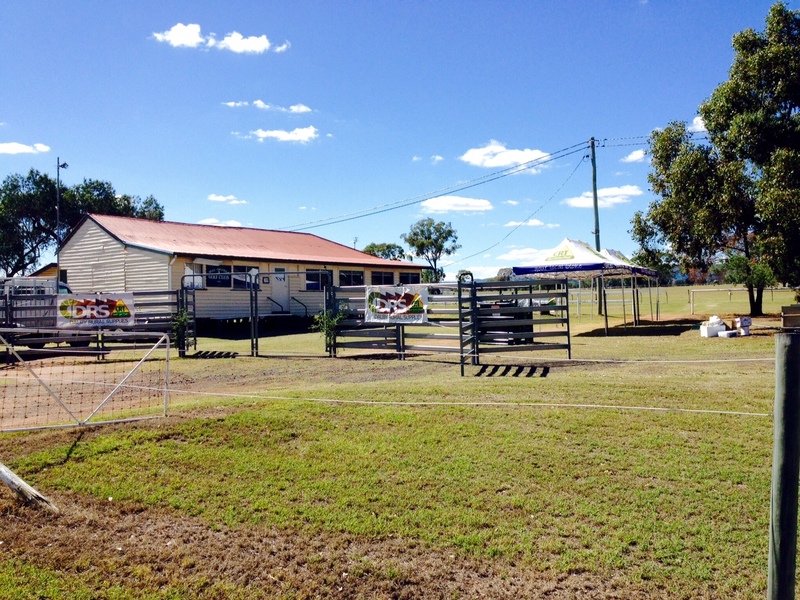 For more information visit Ray White Dalby Beef Bonanza. 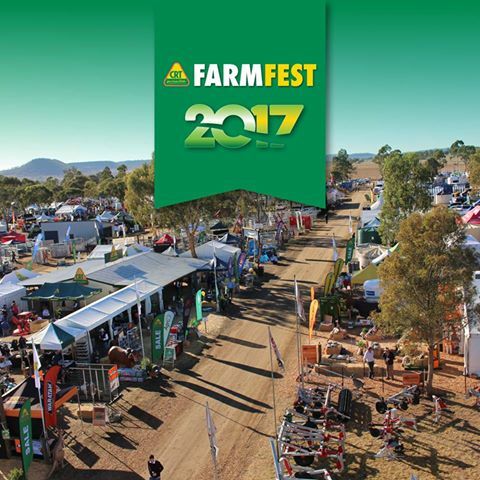 Farmfest 2017 was held at Kingsthorpe Park, Toowoomba from Tuesday, 6th to Thursday, 8th June, 2017. As usual, there was a wide range of industry experts on site as well as our staff who were more than happy to help you get a great dea! 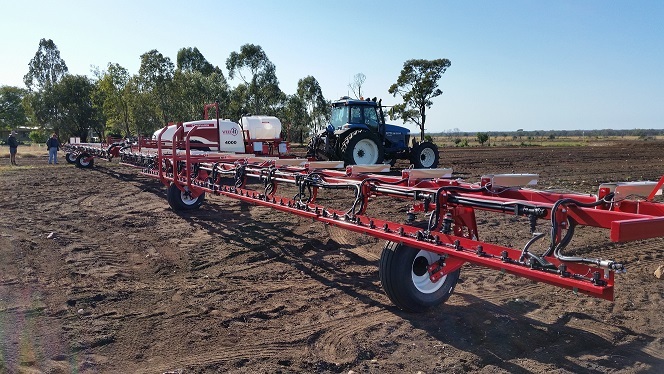 Over the past 2 years, WEEDit has become a very good tool for growers in the region looking to tackle hard to kill weeds, while also allowing high rate applications in fallow situations and minimising the effects of drift on neighbouring crops. We are proud to welcome Jeremy Jones to our team at Dalby Rural Supplies to manage the Agricultural Technologies side of the business, in particular the WEEDit machine. Jeremy grew up in southwest Manitoba, Canada and was very involved in their family farm. After uni, he moved around the Prairie Provinces of Canada spending six years as an agronomist in various regions. After returning home, he managed a multi outlet farm supply business for 3 years with a focus on seed, chemical and fertiliser. He then went on to spend 5 years as a Territory Sales Rep for a growing seed and biologicals company while continuing to farm, and he eventually grew their property to over 6500 acres. With a young family, the Jones’ decided to make a big move, and packed their bags for Toowoomba. This is where Jeremy has spent the last 3 years as the Area Sales Manager for Croplands Equipment, covering Northern NSW and Queensland. 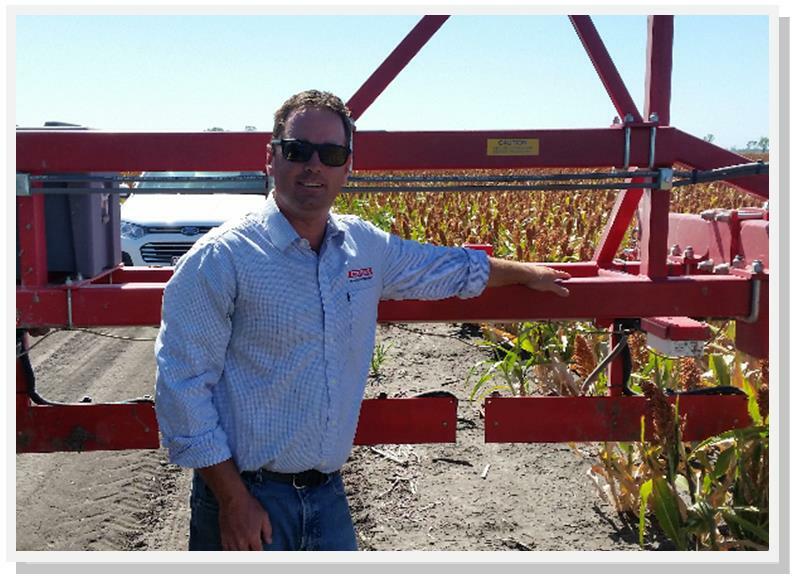 While a large amount of time has been spent showcasing and supporting the Rogator and SpraCoupe brands, a majority of Jeremy's time over the past 3 years has been spent with WEEDit. The hands on approach Jeremy has taken with the growers in the region has helped the WEEDit brand thrive. Being involved in supporting machines from Moree to Clermont and everywhere in between has allowed Jeremy to build his product knowledge and develop new platforms with local businesses. We are glad to have Jeremy on our team, combining his knowledge of the WEEDit platform with the agronomy team’s knowledge of the issues affecting local growers, to put together a strong offer to control weeds. Jeremy has brought a wealth of knowledge and experience to the growers in our region and he is excited about becoming an integral part of the Dalby Rural Supplies contribution to our broadacre clients. 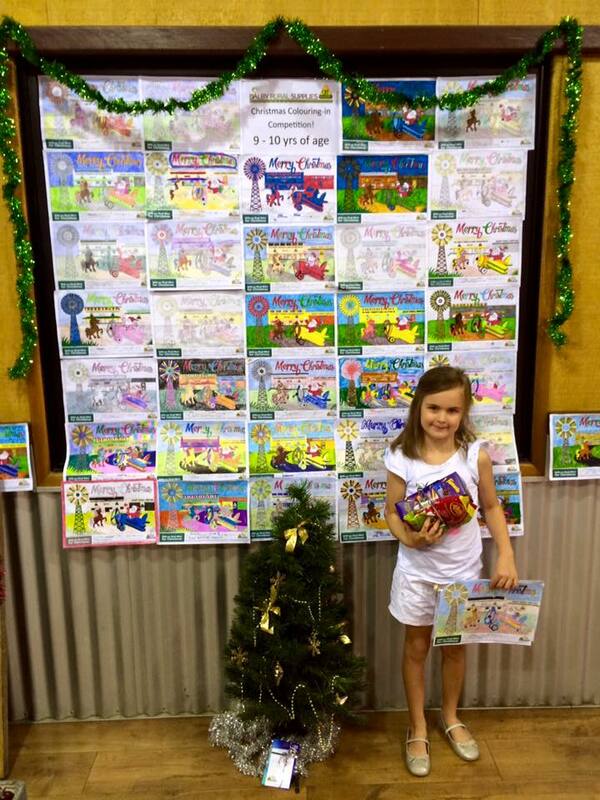 Jeremy can be contacted on 0458 626 101 or via his email jeremy@dalbyruralsupplies.com.au. 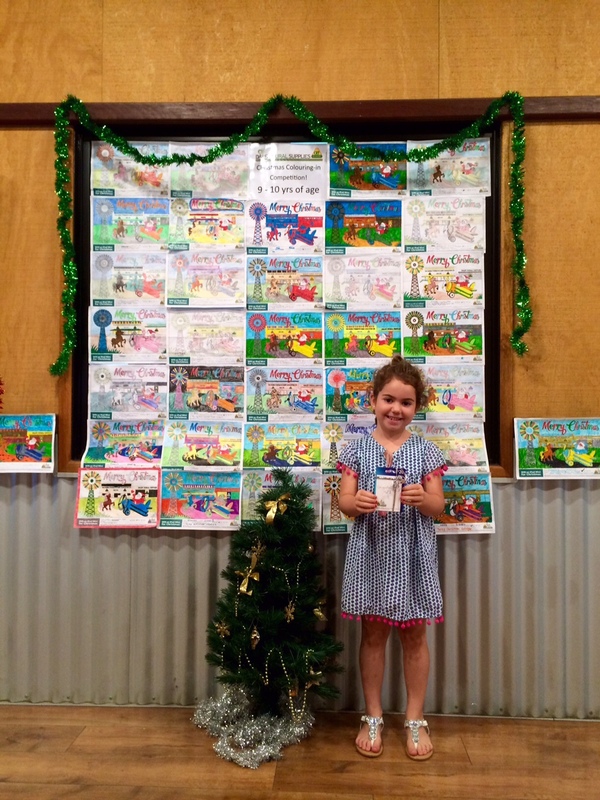 Dalby Rural Supplies was a proud supporter of the 2016 Dalby Beef Bonanza which showcased the best beef in the Darling Downs on Friday 7th October. 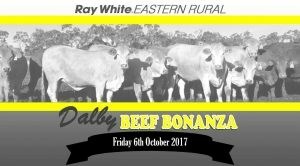 For more information visit the Ray White Dalby Beef Bonanza website page. CRT FarmFest 2016 is now over for another year! The event, which was held at Kingsthorpe Park on the 7th-9th June, was a smashing success, with many suppliers offering customers a chance to take advantage of some great bargains. 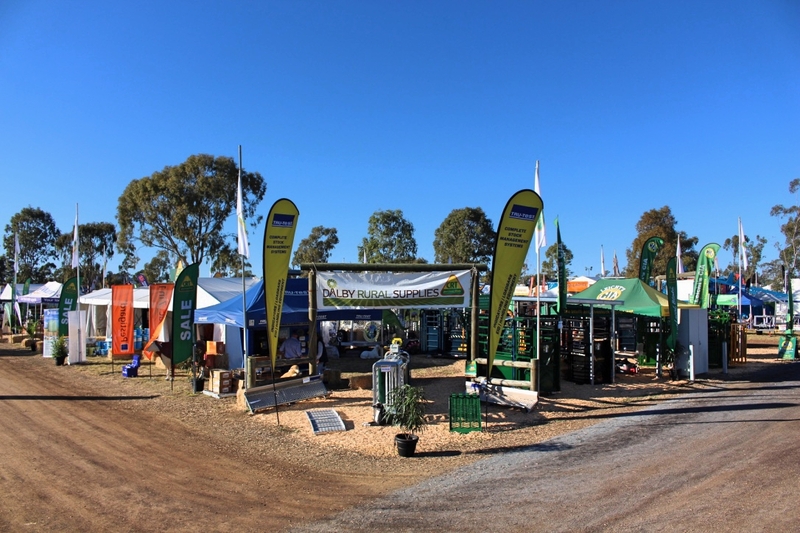 Dalby Rural Supplies would like to thank all customers who visited us at the event - we are very priveleged to have such amazing support! We would also like to thank CRT, Farmcraft, our suppliers who attended and all our staff for all the hard work involved in pulling it all together. 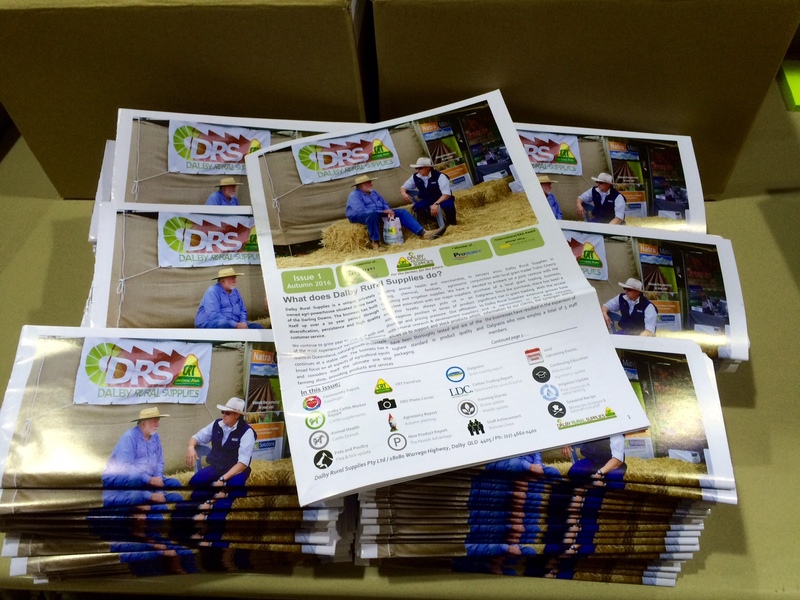 The first edition (the Autumn 2016 Issue) of our brand new seasonal DRS Newsletter was posted out in mid May! We hope our newsletter will keep you up-to-date with the latest products and information, as well as events and happenings in the local community. 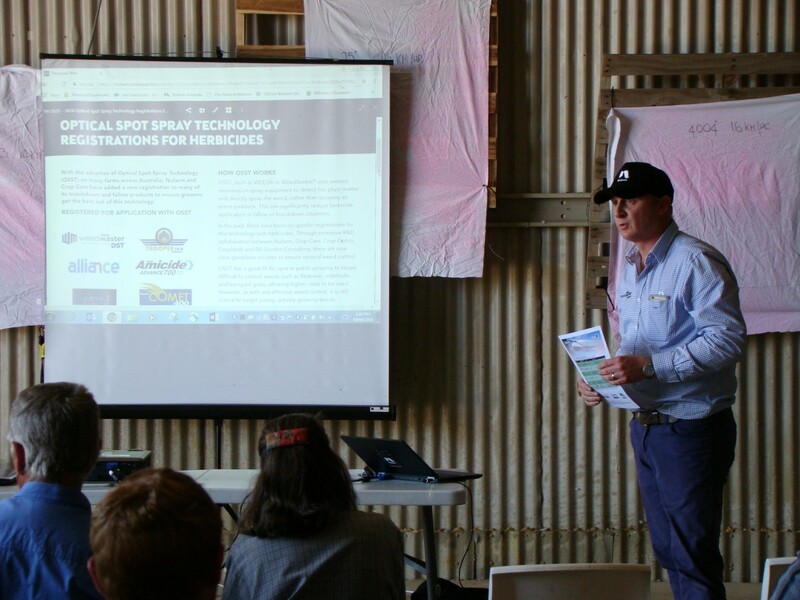 Three of our staff members, Andrew J, Wayne and Mark, attended an intensive training workshop in March 2016 to learn more about the Croplands WEEDit machine. The day involved fine-tuning their knowledge about the different parts and running gear of the WEEDit, from the setup in the field to sensors, cameras, power units, control panels and nozzles. They now have a better understanding of the revolutionary system of weed control that uses a patented method for recognising and spraying weeds, based on the fluorescent properties of the chlorophyll molecules present in the leaves of living plants. The WEEDit machine is equipped with highly sensitive and accurate sensors allowing the herbicide to be sprayed exactly on top of the living plants, saving herbicide which saves the grower money and minimises environmental load. 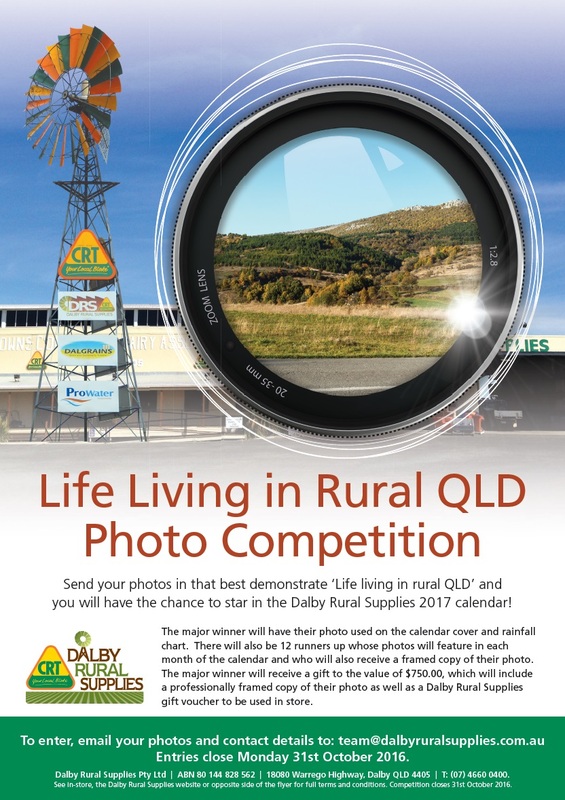 In 2016 we ran a photo competition to find photo's that best demonstrate 'Life Living in Rural QLD' to feature in our 2017 Calendar. The major winner was able to have their photo used on the 2017 DRS calendar cover and rainfall chart. 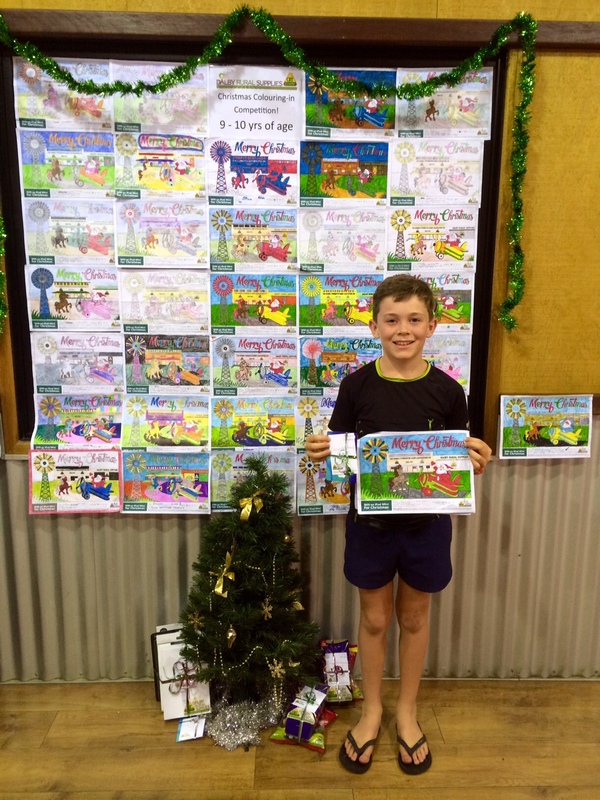 There were also 12 runners up whose photos were featured in each month of the calendar and who also received a framed copy of their photo. 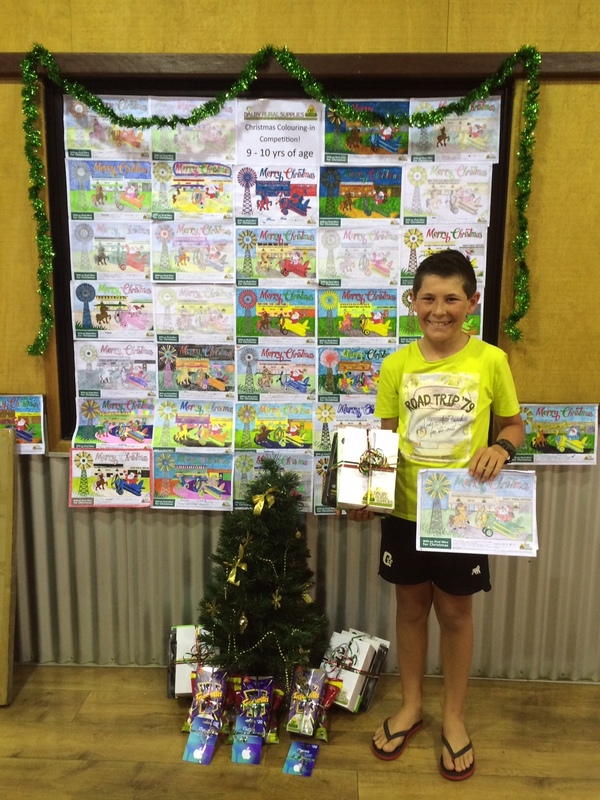 The major winner received a gift to the value of $750.00, which included a professionally framed copy of their photo as well as a Dalby Rural Rupplies gift voucher to be used in store. Click here for more details about the competition as well as full terms and conditions. The 2016 Australian Summer Grains Conference held in early March saw the introduction of a new award aimed at recognizing the outstanding contribution to agronomic excellence by an agronomist. 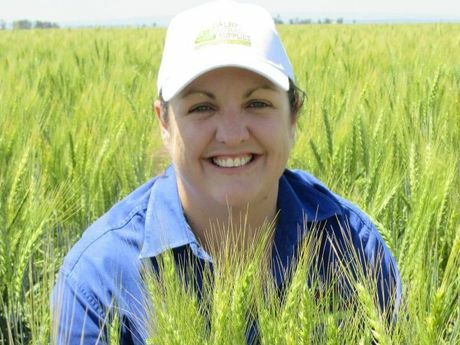 The Australian Summer Grains Conference established this award in memory of the much loved and valued agronomist Zoe McInnes, who tragically lost her life in a farming accident in 2013. Zoe's enthusiasm and passion for the industry, her clients and her own personal development during her career epitomized the dedication required to continually improve outcomes for the industry. Nominations for this award were based on a range of criteria including the agronomists'; personal relations, professionalism, integrity, credibility, support of the Australian Summer Grains industry, personal growth in a particular field of agronomy/work and the impact on associates, farmers and other industry stakeholders, the nominee's involvement in the development of new agricultural practices, chemical products or plant varieties that provide solutions to farmers and qualities such as innovativeness and application to best management practice principles as evidenced by farmer clients and industry were taken into consideration. In January, five quiet achieving agronomists were named finalists for this award which sees the winner being presented with a $5000 bursary to allow the recipient to increase their knowledge and support them in delivering new information to growers. During the judging it was revealed that there was not much separating the five finalists so the committee decided to award the runner-up with $1000 towards professional development. Finalists included our very own agronomist's Belinda Chase and Steven Muller as well as Andrew Millers - Elders Toowoomba, Jordan McDonald - Elders Dalby and Janet Loechel - Elders Jandowae. We are proud to announce that our agronomist Belinda Chase was awarded runner-up for this award at the Australian Summer Grains Conference in early March 2016! We would also like to congratulate Janet Loechel who won the award. A fantastic achievement for all those who were nominated. 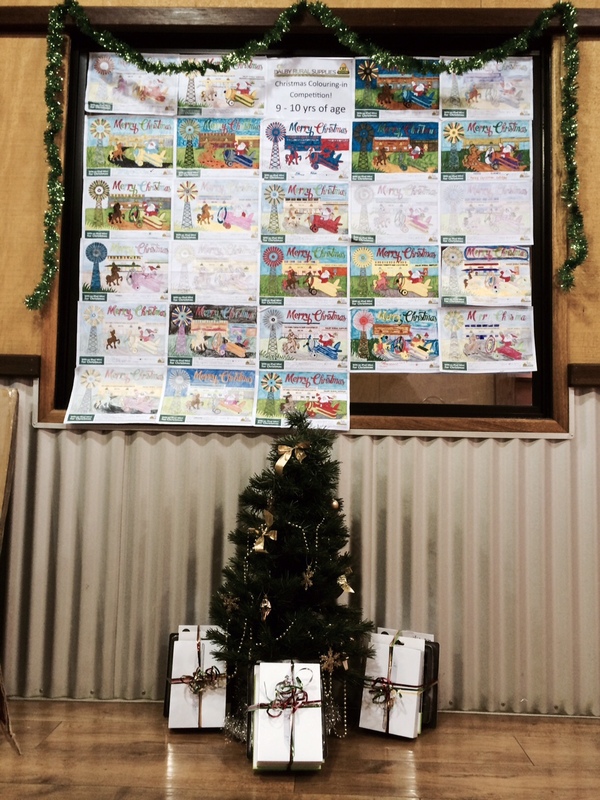 Thankyou to all the children who submitted an entry form, there are some amazing colouring-in skills on show and our office has looked much more colourful for a few weeks! 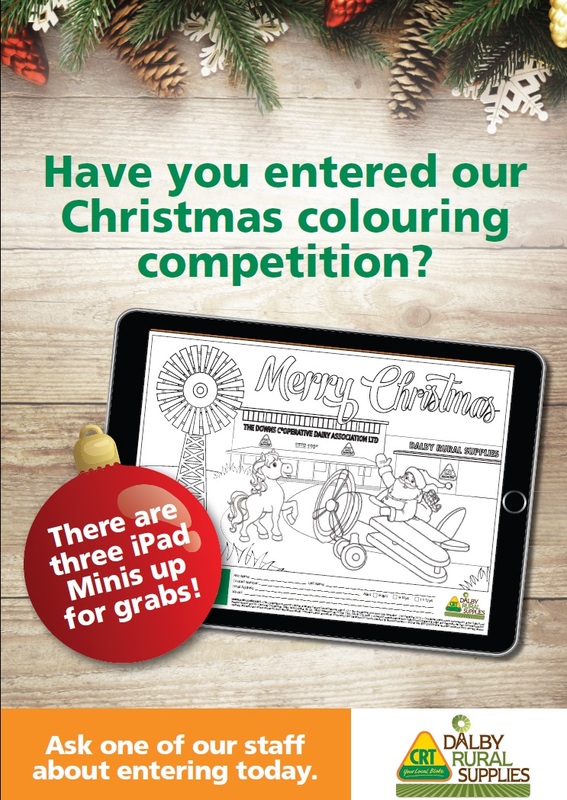 In 2015 we decided to run a Christmas Colouring-in Competition for children aged 6-8, 9-10 and 11-12years of age with three iPad Mini's to be won (one for the winner of each age group). 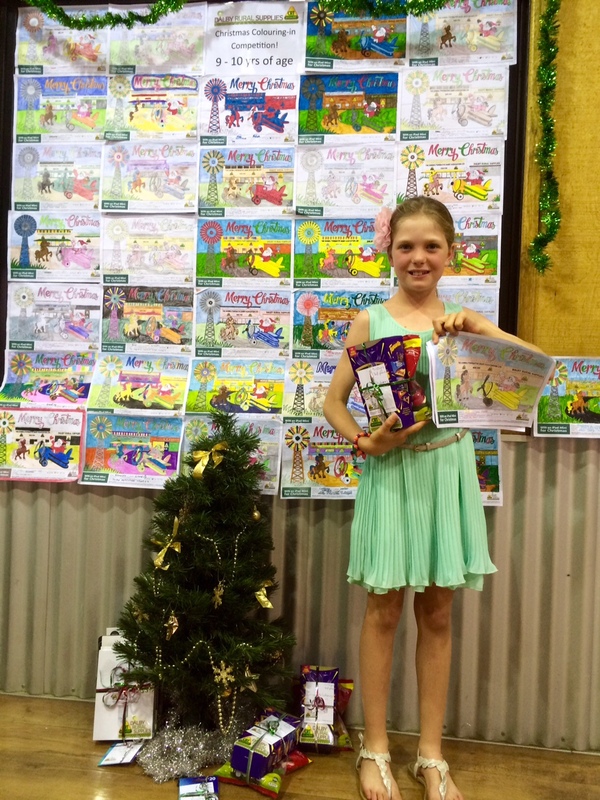 We received an overwhelming number of superb submissions and we were able make a few children very happy with early Christmas presents! CRT FarmFest finally came to an end for 2015 and after a long week of setting up, attending the field day and packing up, everyone looked forward to the long weekend! Thankyou to all our customers and suppliers for supporting us at this prestigious field day, it was great to see such confidence within the rural industry! 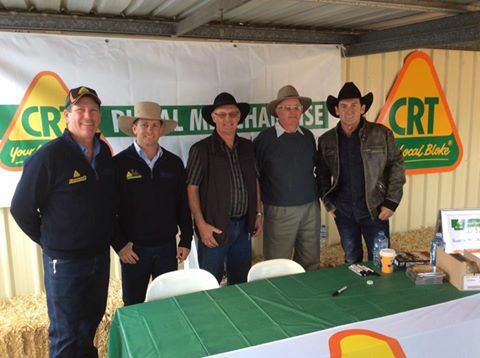 A special thankyou to Lee Kernaghan who made a guest appearance on day two of FarmFest 2015 to raise funds for our local 'Men's Shed' group. We are very proud to support such a great initiative for our local community. 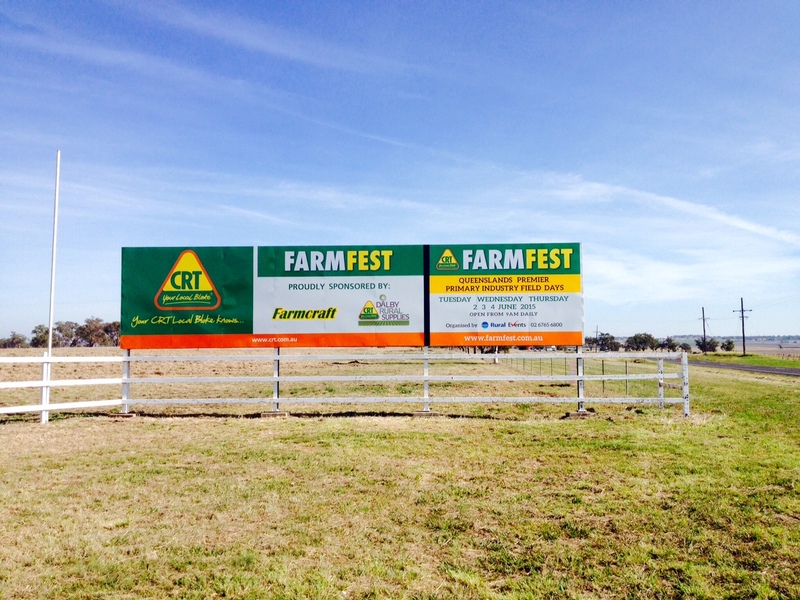 We can now look forward to next year's FarmFest and we hope that it will be just as successful for everyone. Another successful information session was held at the Bell Golf Club at the end of April 2015 with topics including pasture and livestock nutrition. A special thankyou to everyone who was able to attend and to our suppliers; Zee Tags Australia, AgSolutions Australia, Lorentz Pumps Australia, Zoetis, Arrow Farmquip and Dow AgroSciences, who all contributed to a successful day. Farm Hygiene including silos, seals, pads and header hygiene. They also looked at methods and tools available to minimise grain insect outbreaks. Aeration including aeration settings, speed, time, seed and air temperatures for storing grain. Identifying certain grain insects and treating them according to label requirements. Life cycles of certain grain insects that cause the most damage in the Northern growing area. The new grain insect product called Conserve On Farm, which is still under permit for another 12months and readily available at Dalby Rural Supplies. Application of different fumigants and their effectiveness in certain silos and with certain grain insects. Dalgrains also attended the meeting and discussed the current domestic and international markets and gave a brief overview on what is happening globally with their seasons and supply. In September 2014, one of our agronomists Belinda, was nominated for the 2014 Syngenta Growth Award which recognises the achievements of growers and advisors who are leaders within their field with respect to productivity, sustainability, community and people. Only 60 people are nominated for this award Australia-wide, 18 nominees from Dubbo north and only 1 in Dalby. In recognition of this achievement, Belinda has been presented with a framed certificate and a Driza-bone coat from Syngenta. DRS commends her on this achievement and we wish her all the best in getting through to the regional and national finals and being able to enjoy the potential prize of touring the UK and Europe in 2015!